A cocktail renaissance has swept across the country, inspiring in bartenders and their thirsty patrons a new fascination with the ingredients, techniques, and traditions that make the American cocktail so special. 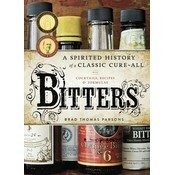 And few ingredients have as rich a history or serve as fundamental a role in our beverage heritage as bitters. Author and bitters enthusiast Brad Thomas Parsons traces the history of the world’s most storied elixir, from its earliest “snake oil” days to its near evaporation after Prohibition to its ascension as a beloved (and at times obsessed-over) ingredient on the contemporary bar scene. 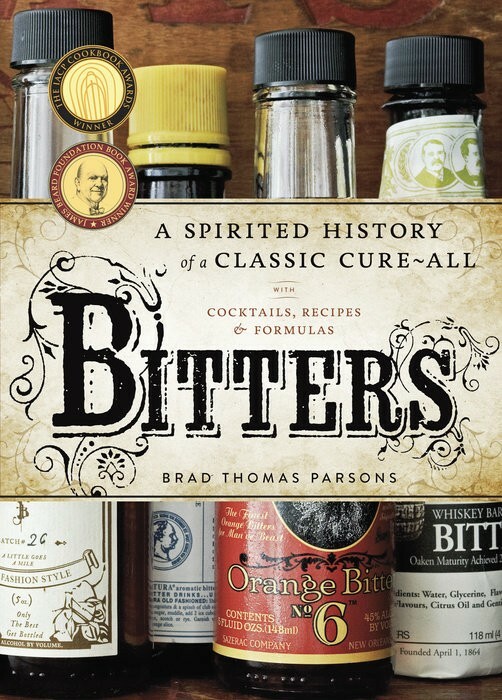 Parsons writes from the front lines of the bitters boom, where he has access to the best and boldest new brands and flavors, the most innovative artisanal producers, and insider knowledge of the bitters-making process. Whether you’re a professional looking to take your game to the next level or just a DIY-type interested in homemade potables, Bitters has a dozen recipes for customized blends–ranging from Apple to Coffee-Pecan to Root Beer bitters–as well as tips on sourcing ingredients and step-by-step instructions fit for amateur and seasoned food crafters alike. Also featured are more than seventy cocktail recipes that showcase bitters’ diversity and versatility: classics like the Manhattan (if you ever get one without bitters, send it back), old-guard favorites like the Martinez, contemporary drinks from Parsons’s own repertoire like the Shady Lane, plus one-of-a-kind libations from the country’s most pioneering bartenders. Last but not least, there is a full chapter on cooking with bitters, with a dozen recipes for sweet and savory bitters-infused dishes. Part recipe book, part project guide, part barman’s manifesto, Bitters is a celebration of good cocktails made well, and of the once-forgotten but blessedly rediscovered virtues of bitters.